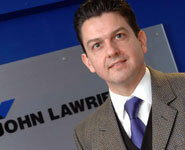 Scottish scrap metal reprocessor and steel trading company John Lawrie Group has reported its most successful year ever. The latest accounts from Companies House show Group operating profits have reached £4.1m, and turnover in the year ended 31 December 2006 reached £76m, an increase of almost 40% on the previous year. The main area of growth continues to come fr om the expansion of international trading activities. In recognition of this growth the group recently received the Queen’s Award for International Trade. 2006 saw John Lawrie Group incorporate Lawrie Metalgas in China to handle the trading of steel tubulars within that region. This follows on from the start-up of Lawrie Noble, a tubular trading company in the UAE in 2005 and the inception of John Lawrie Inc.’s tubular trading business in Houston in 2004. John Lawrie operates scrap metal processing facilities in Aberdeen, Montrose and Evanton. The company prides itself on using the most up-to-date methods of recovery and recycling, thus reducing waste. During 2006 the Group invested £1.8m in new fixed assets for its recycling business and a further £3.2m was committed by the year end for capital expenditure in 2007. John Lawrie’s steel tubular business also operates throughout the UK with principal operating locations in Montrose and Birmingham, serving both national and export markets.